Question: How to deal with wrist pain with HSPUs? The wrist contains a total of 8 bones and 2 bones from the forearm, the ulna and radius. The wrist has so many small and intricate movements involved with it that it is no wonder people sometimes have pain in certain movements. There are two ways we can tackle this problem. 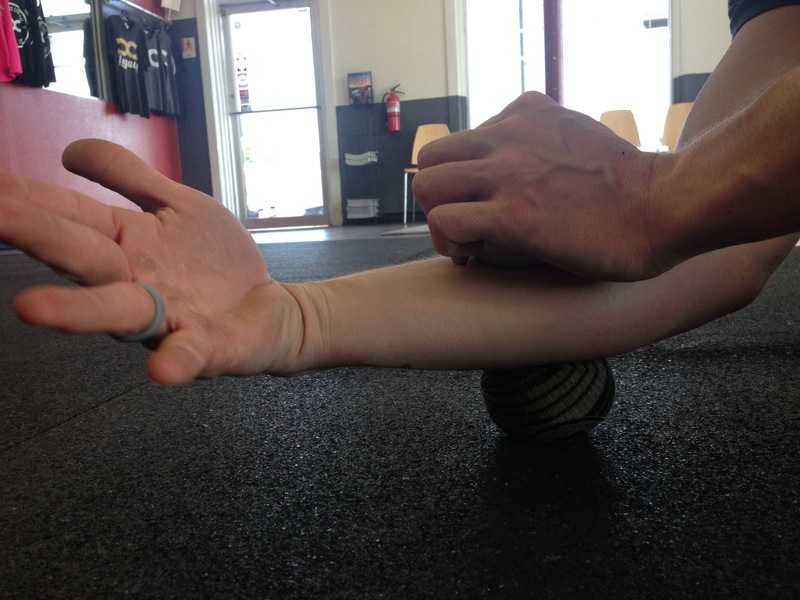 The first way is looking at the mobility of the wrist. The problem with HSPUs is that it puts the wrist at the end range position. Whereas, 80% of people spend most of their time in mid-range positions such as texting, typing on the keyboard, etc. So if you think about how much time you spend never at full range positions, we can see there is a gap missing. 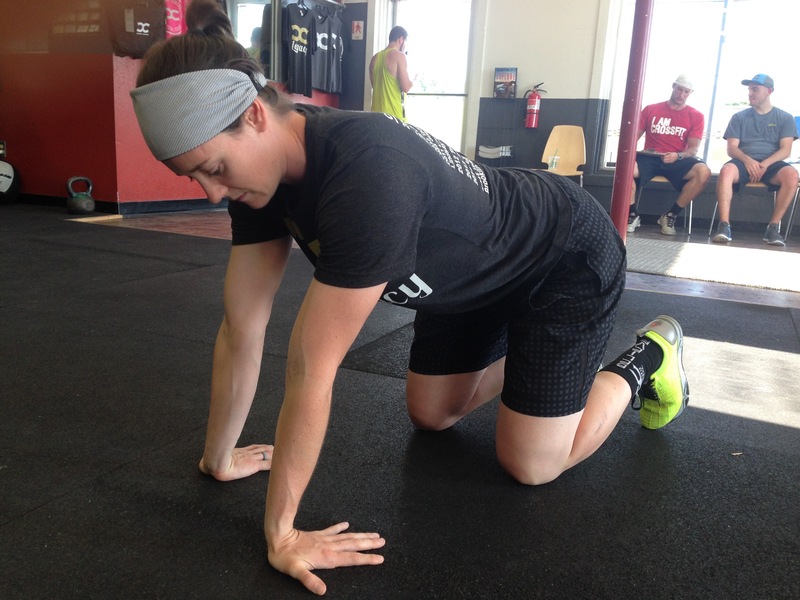 Here are some mobility drills you can focus on that put your wrist in full range positions and also work on the muscles of the forearms that are movers of the wrist. Spend about 4 minutes total on this. 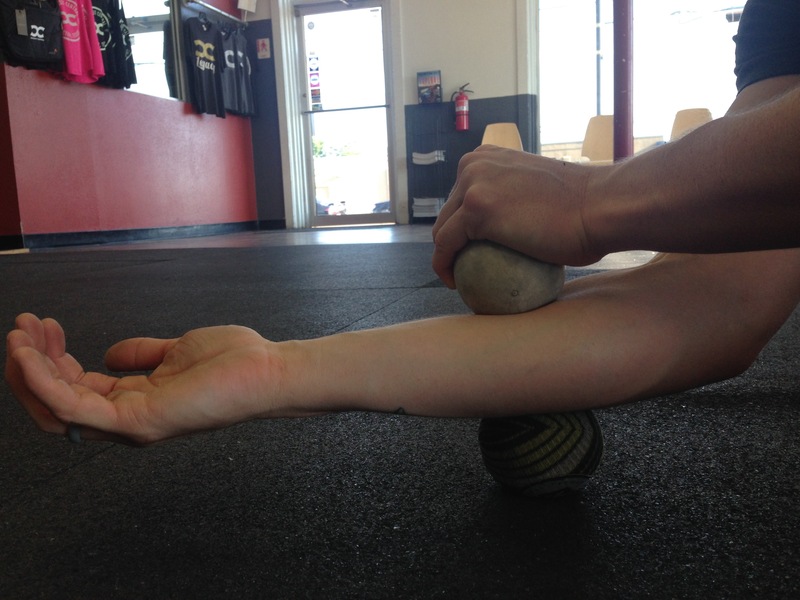 You can switch between wrist and increase intensity by going onto your toes. You can also rock side to side to really get into the cracks. 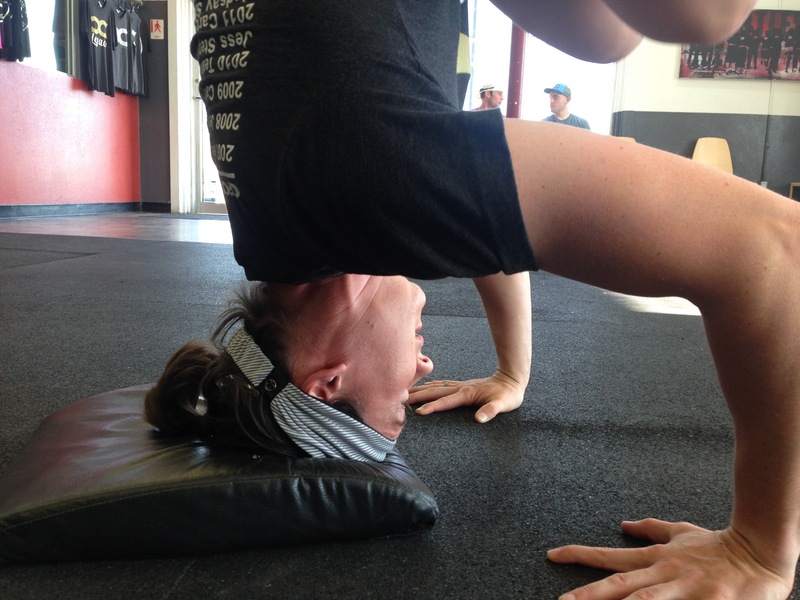 Spend a total of 2 minutes on each forearm with your palm facing the ceiling. Make sure to dig the other lacrosse ball directly over the one on the bottom. 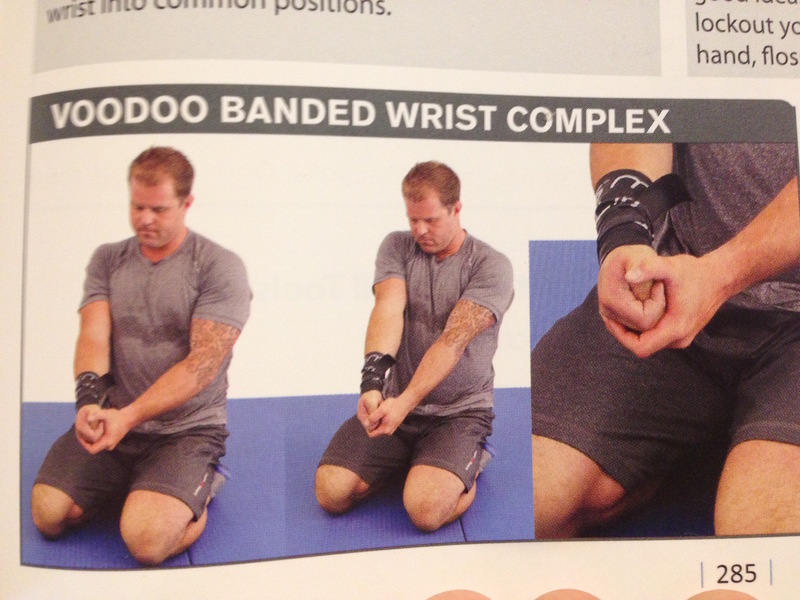 You can flex and extend and make circles with your wrist to increase intensity. The second way we can look at wrist pain in the HSPU is to look at the bottom position. The bottom position should look like a TRIPOD. 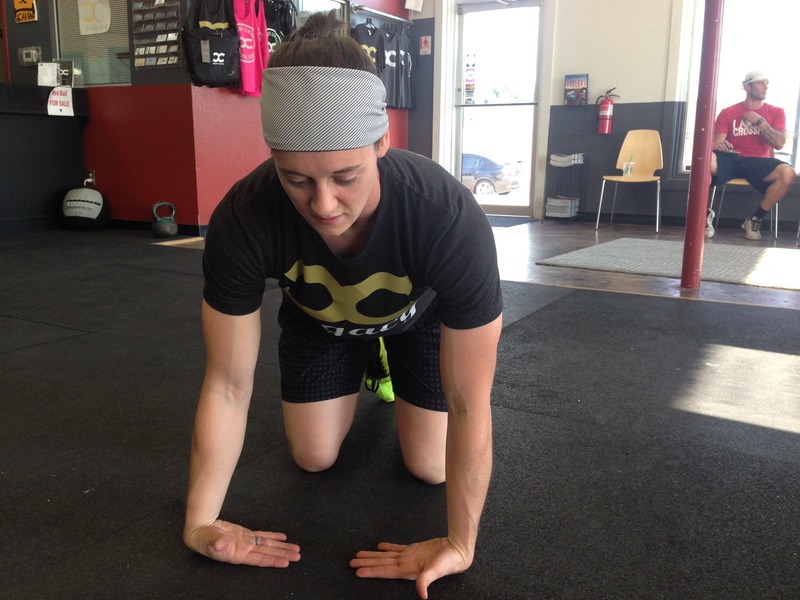 This position puts your forearms perpendicular to the ground and your wrist right about the elbow. If your hands are placed right, you should always be able to see your hands. 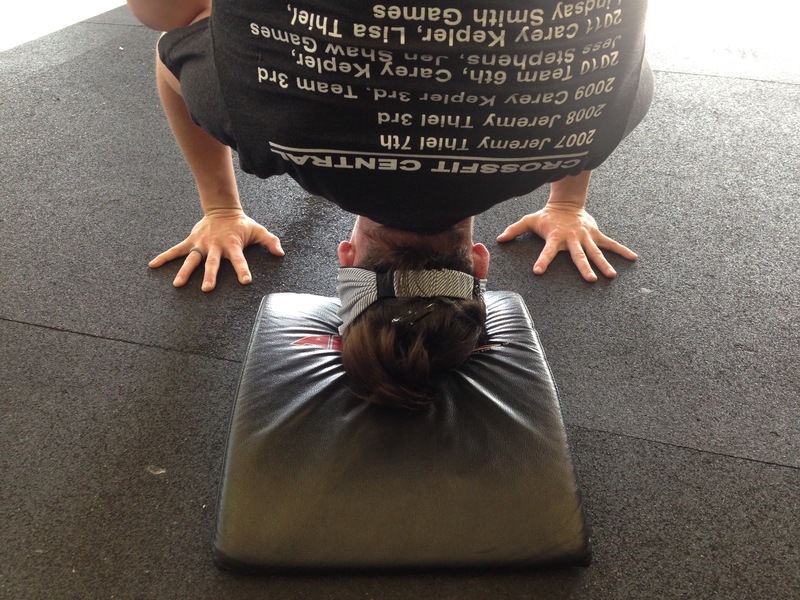 This position sets you up in a good position for you wrists and doesn’t put them into internal rotation which you can see in the picture below. As you can see, my hands and head are in a straight line with each other with my elbows splayed out to the side. This is improper pressing mechanics and you can see all the torque it creates in my wrist. 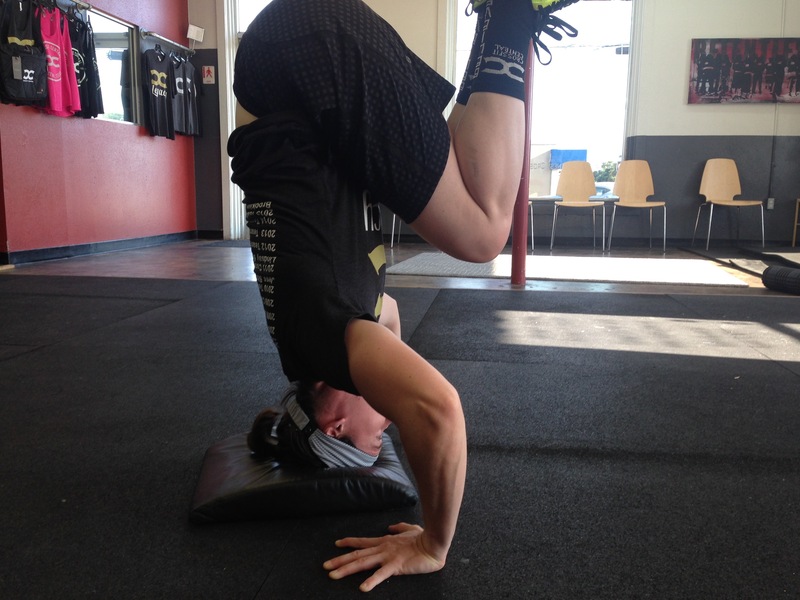 You can focus on working your headstands in the correct Tripod position before moving onto the wall. So have pesky wrists?? 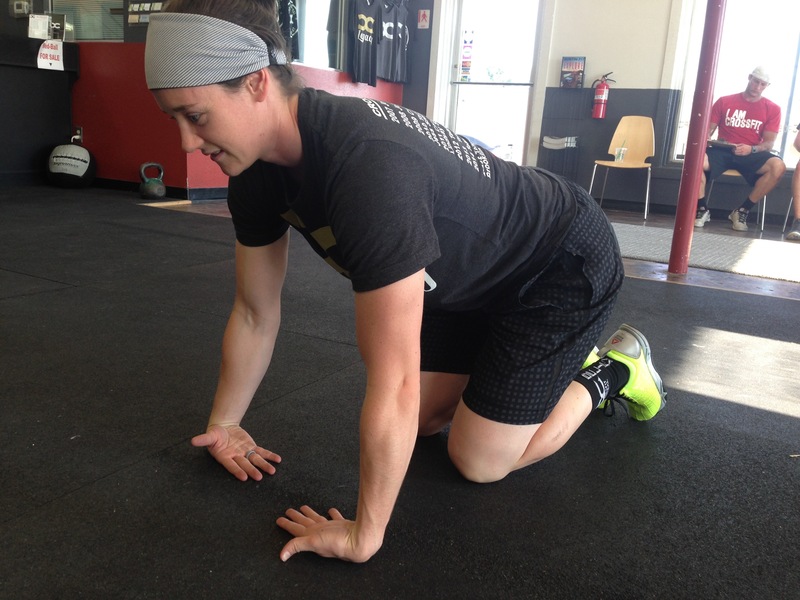 Work on your mobility with the drills above and make sure you are set up in the correct position. Have any other questions?? 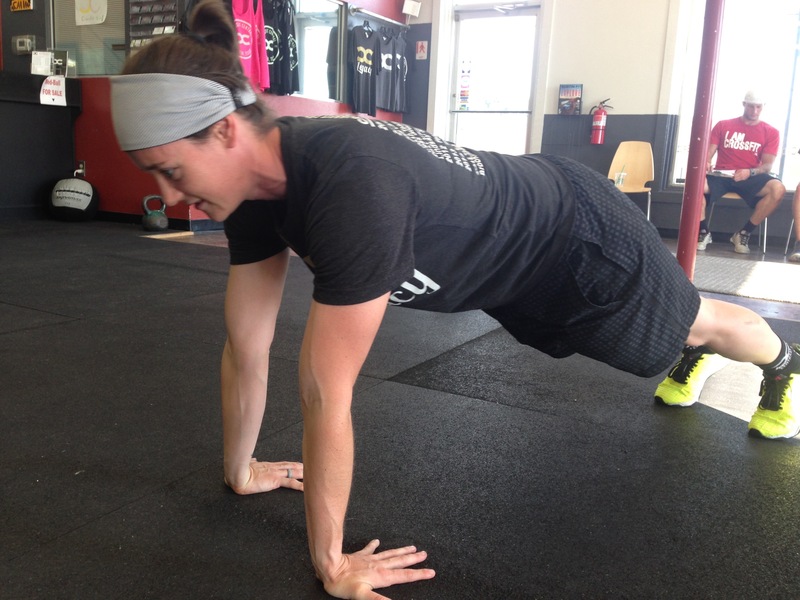 Email me at jesspowers@crossfitcentral.com and you could be featured on my next post!! !